This sticky rice bread is so well received by everyone! 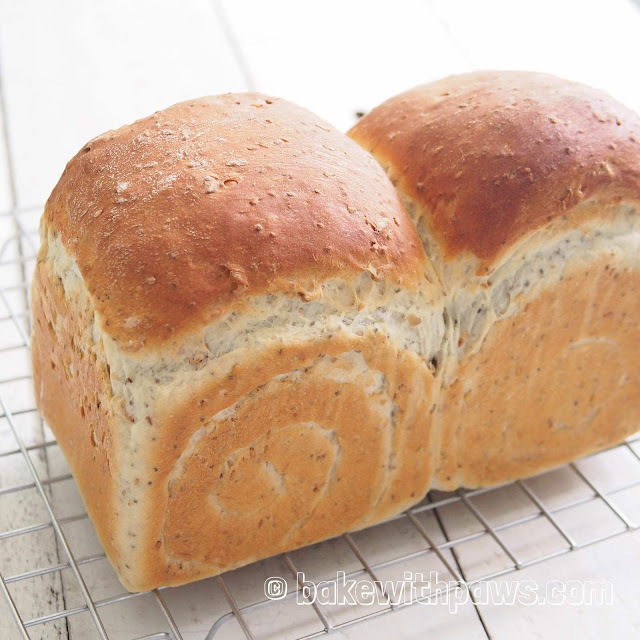 I added some seeds to make it as a healthy seeds bread. 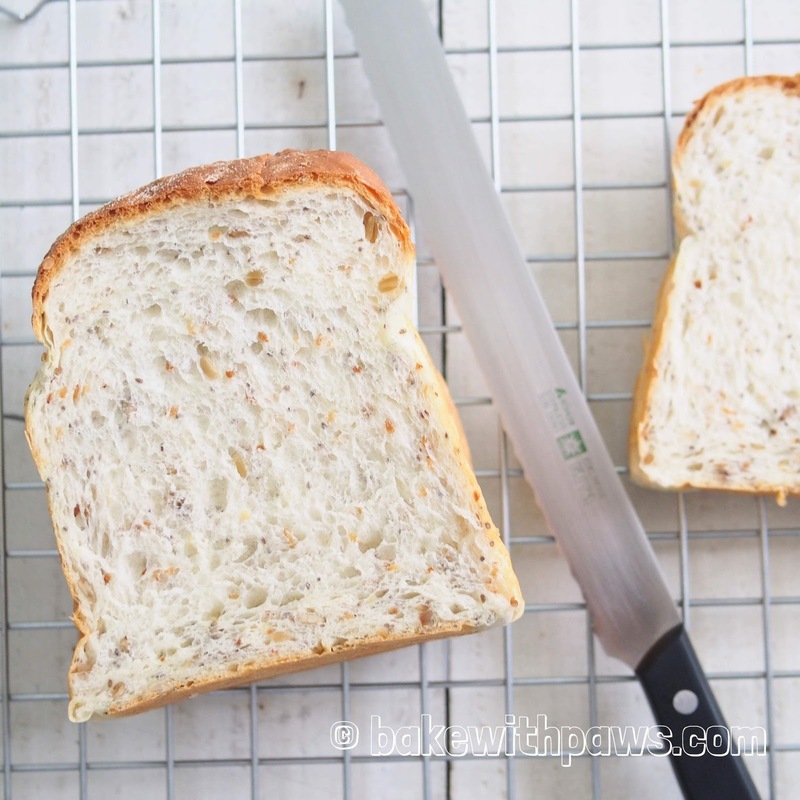 Please click "Ultra Soft Sticky Rice Bread" for the recipe. Just add the following and shape into a loaf instead of braiding it. Add seeds towards the end of kneading process.